In 2012, the volume of oil and gas condensate production came to 79.2 million tons. Of them, 68.616 million tons were directed for export, including in the directions: Atyrau-Samara – 15.4 million tons (100 %), Orenburg Gas Refinery (condensate) – 0.838 million tons (69.1 %), CPC–27. 9 million tons (96.7 %), Аtasu-Аlashankou– 10.4 million tons (97.2 %), the seaport of Aktau – 7.06 million tons (88 %), and railway – 6.97 million tons (91.1 %). In 2012, 14.2 million tons of crude oil were processed at the republic’s three oil refineries that comprises 103.6 % of the previous year’s level. 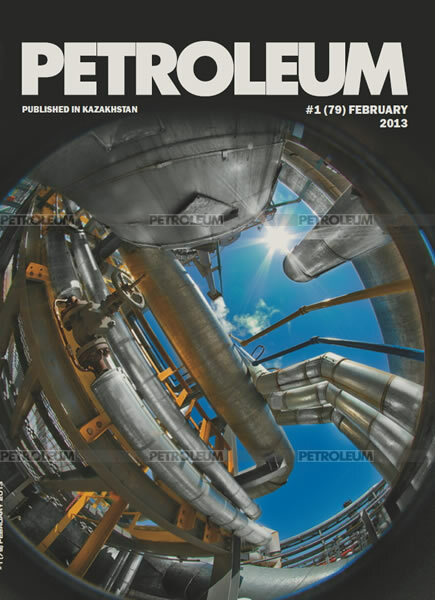 Production of gas reached 40.1 billion cubic meters in 2012 (101.5 % to 2011). Production of commodity gas came to 21.2 billion cubic meters (100 % to 2011). The amount of consumption of natural gas by the republic’s regions reached 10.5 billion cubic meters (103.2 % to 2011). The export of gas from the republic amounted to 8.8 billion cubic meters (103.7 % to 2011). The transit of gas made through the republic’s territory amounted to 96.5 billion cubic meters (100 %). It was produced 2.2 million tons of liquefied hydrocarbon gas (103.1 %). In the process of implementing by subsoil users of the programs for gas utilization, the amount of gas flared on torches came to 1.0 billion cubic meters that comprises 85 % compared with the similar period of the last year. As of January 1, 2013, the natural gas reserves in the republic’s underground gas storehouses amounted to 0.7 billion cubic meters. 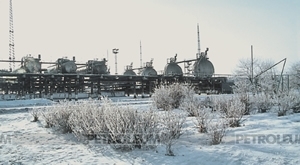 Development of the gas field Amangeldy is under process in the Zhambul region at which the level of gas production reached 324.1 million cubic meters in 2012. From 2004 to 2012, 80 projects were realized that made it possible to provide 210 settlements with “blue fuel”. On the whole, over 880 settlements in the republic were provided with gas that comprises about 20 % of the total number. In 2012, KZT13.5 billion were allocated from the republican budget, construction was carried out under 43 projects and the gas pipelines were built with a total length of about 600 km. As a result, a possibility was created to provide 60 settlements in 8 regions of Kazakhstan with gas. 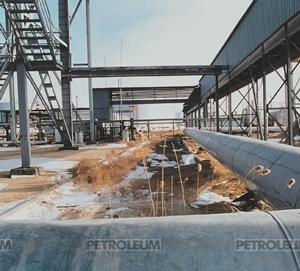 In order to ensure development of the fuel and energy industry in terms of hydrocarbons, as of 2012 the Ministry of Oil and Gas of the RКconducted monitoring of 203 subsoil use contracts including 2 being in trust management, as well as 61 contracts for exploration of hydrocarbon raw materials; 56 contracts for hydrocarbons production; 73 combined contracts for exploration and production of hydrocarbons; 13 contracts for exploration and production of hydrocarbons which are carried out on the PSA conditions and Tengizchevroil LLP. 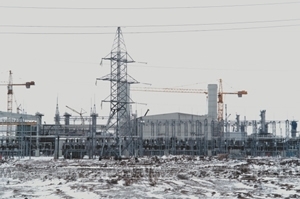 On July 2, 2012, the Republic of Kazakhstan in the person of JSC NC KazMunayGas has entered the structure of contractors of the Karachaganak project with a 10 % interest. The Committee of State Inspection in the Oil and Gas Industry under the Ministry of Oil and Gas carried out 30 inspections of subsoil users in 2012 of which 7 – were off-schedule inspections. As a result, numerous violations of subsoil and subsoil use legislation were revealed and instructions were issued to eliminate these violations. Under the acts, administrative penalties worth about KZT5 million were imposed. In 2012, 238 licenses and appendices to licenses were issued and reregistered, while 53 applicants were refused. In all, 1130 accreditation certificates were issued. In 2013, under the forecasts of the Ministry of Oil and Gas, it is planned to produce 82 million tons of oil and gas condensate in the country. As for gas, the forecast is 40.5 billion cubic meters. The commodity gas is planned to increase up to 22 billion cubic meters. Under the agreement on counter deliveries of gas concluded between Gazprom, Uzbekistan and KazMunayGas, the whole import of gas is combined with Karachaganak export under the equal price and in equal volumes,” stated the Minister of Oil and Gas of the RK Sauat Mynbayev. The Kazakhstan’s Prime Minister Serik Akhmetov has ordered the Ministry of Oil and Gas to complete by the end of the first half of 2013 negotiations with the Russians on mutual deliveries of oil and gas. 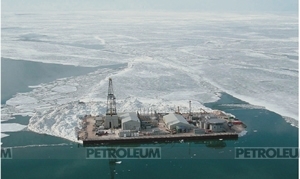 “Together with the Russian side we are rather actively conducting negotiations on some issues connected with mutual deliveries of oil and gas, which are rather complicated questions. 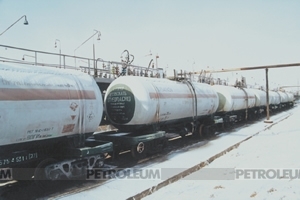 These are deliveries of Kazakh gas to the Orenburg Gas Refinery and the Russian oil – to the Pavlodar Petrochemical Plant. As I have already said, these questions are uneasy and demand weighed approaches. Further realization of the Karachaganak project and its expansion will depend on the jointly taken decisions. Therefore, it is needed to clearly understand and complete till the end of the first half of 2013 a negotiating process and thus to provide maximal protection of interests of our country,” said Serik Akhmetov. Also, it is needed to pay special attention on the development of transport infrastructure, which includes increasing the capacity of the functioning pipelines and defining the new routes of hydrocarbons supply. It is also the assignment of the Prime Minister. “It is understandable that the development of the industry in the near and medium-term prospects will be connected with realization of three large projects – Теngiz, Каshagan and Karachaganak. The total share of these projects will comprise more than half in the total volume of hydrocarbons production. Given the issues on these projects’ expansion, the Ministry of Oil and Gas shall pay special attention on the development of transport infrastructure, which includes, among others, increasing the capacity of the functioning pipelines and defining the new routes of hydrocarbons delivery to the domestic and foreign markets,” said Serik Akhmetov.